Special invitation and exclusively to all Gorgeous Geeks. The Malaysia Digital Chamber of Commerce (MDCC) is organising The Digital Economy – THE CEO-Suite, Disruptors & Innovators Digital Economy Forum and Industry Round Table Forum on 24 November 2014. 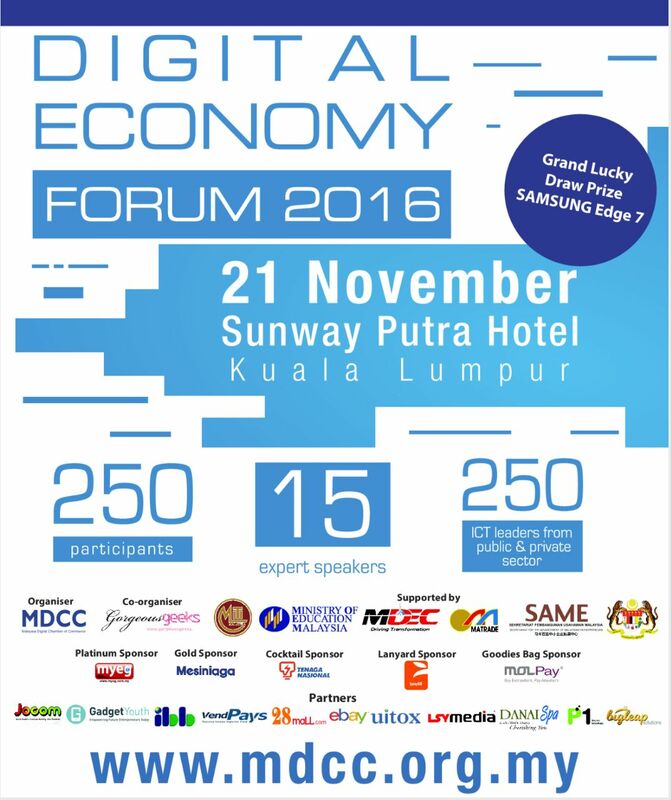 This discussion of the forum and round table will be centered on the Malaysia 11th Plan (RMK11) and how digital economy will propel the e-Commerce industry forward as the disruptors and innovators of the nations. The round table discussion will be able to bring government and private practitioners and policy makers to discuss on matters of joint interest, development of business and investments, technological cooperation, the promotion of economic integration and harmonization of legislation and regulatory instruments that will propel the Digital Economy – eCommerce forward. 100 Jalan Putra, Kuala Lumpur. To RSVP for this event, click on the following button.